After reading the Gabriel’s Inferno series I literally had ZERO expectations for The Florentine Series. When the book first came out and even when the summary was first released I was a bit skeptical. Gothic themes, Florence, Supernatural… I had gotten so used to Professor Emerson that I wasn’t sure how this, Prince and Raven would match up to one of my favourite couples. Eventually, they did grow on me and I was pleansantly surprised by how much I enjoyed them. 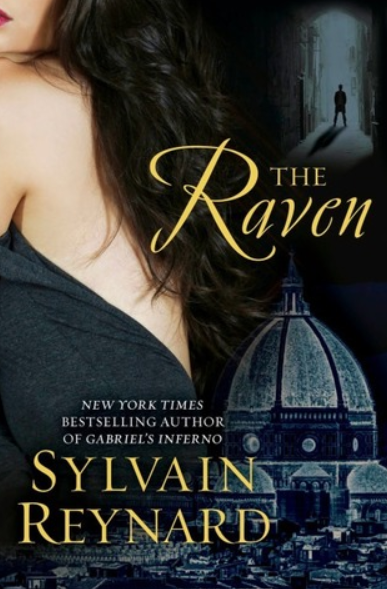 This novel is VERY DIFFERENT from any of the books in the Gabriel’s Inferno series and takes time to get used to, but like me, you’ll fall in love with Sylvain Reynard’s writing all over again and find yourself addicted to this supernatural prince. Raven Wood is nothing short of extraordinary. She lives in Florence, Italy, and works at the Uffizi Gallery restoring paintings. Some might view her as disabled as a childhood injury has left her with a bad leg forcing her to walk with a cane. She is not a size two and doesn’t pretend to hide it. What Raven does have is the heart and courage of a lion, which certainly comes to use when she comes across the supernatural beings that run the city. The Prince has ruled, watched over, and protected Florence for hundreds of years. Now he’s being threatened by a mysterious force and is doing everything he can to deal with it. Hunters are making their way into the city making it unsafe for his kind, and on top of that, the mysterious Raven has caught his attention…The Prince is captivated by her and will do anything and everything he can to keep her. But she wants more, more than what he believes he is capable of giving. It was just…slow…and nothing was happening the first half. For me, it took A WHILE to build up and I’ll tell you why that is. I just didn’t see the appeal in The Prince until after he met Raven. Another reason why I just wasn’t into this book was that there were a lot of characters that I wasn’t sure were important or not. I couldn’t put faces to names, or buildings to names. I’ve never been to Italy or Florence (now I want to), and for me it was difficult picturing the streets, the buildings, what everything looked like… It felt like Reynard handed me a book and expected me to know what places looked like. For me it took away from the experience. It’s one thing to make up a fictional town with fictional buildings; it’s another thing to have a real place with real buildings and not really describe them to your readers. Now that the unpleasantries are out of the way let’s get to the GOOD STUFF – because everyone likes the good stuff. The Prince is NOTHING like Professor Emerson. He’s completely different and in another category of his own, so don’t even try to compare or put them in the same batting team. They’re both very complex men with very complex hearts. I don’t want to give too much away but let’s just say The Prince isn’t afraid of telling Raven exactly what he wants. It’s very rare these days to see a book where the man is chasing the woman. (Of course in the Gabriel’s Inferno series Julianne was hoping Gabriel would remember her and he spent most of the time trying to make it up to her, but that’s different from this). Raven Wood has A LOT of SELF-RESPECT and I feel like there aren’t enough fictional women who have that trait. What I mean is, Raven doesn’t lose her values or opinion of herself and what she wants just because a handsome man wants her. She knows who she is, she knows what she’s worth and isn’t going to let anyone make her feel bad about the things that have happened to her. William had brought color to her world, even if the colors were black and red. He’d liked her body – all of it. He hadn’t wanted to fix her. The best thing about these two is the chemistry and banter when they are together. That’s literally the only thing keeping me interested in this series. I could give a rat’s arse about everyone else and all the politics behind running of the city and the other supernatural creatures, and the hunters, and all that other BS. All I care about is The Prince’s relationship with Raven and how that’s going to progress. How is he going to change her? Is she going to change him? Are they going to have a happy ending? How many bumps in the road will they face together? “Why not?” He kissed her again, this time gently. He arched an eyebrow at the space between her breasts, his lips curving up into a half smile. I feel like these two are walking a very fine line together and it feels like the smallest thing could tip them off the scale. Both are going to have to grow and give into each other a little bit if they want to be together and that’s the reality of it. If you’re unsure about picking up this book or this series I suggest you do it for The Prince and Raven. No doubt Reynard has done it again. Another page-turning gothic romance that is sure to keep you on your toes.